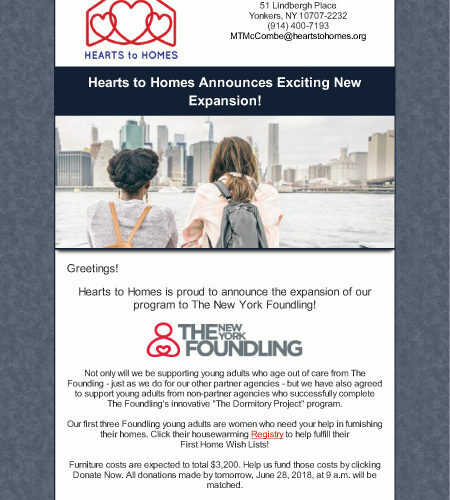 Hearts to Homes Announces Exciting News! 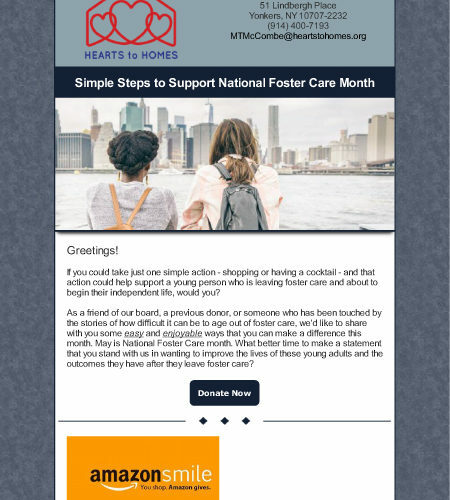 Give Someone a Hand up this Month! 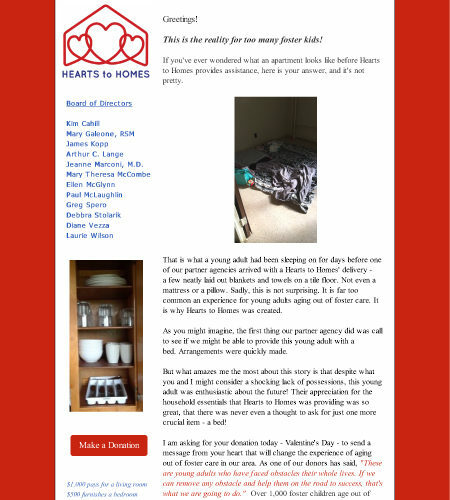 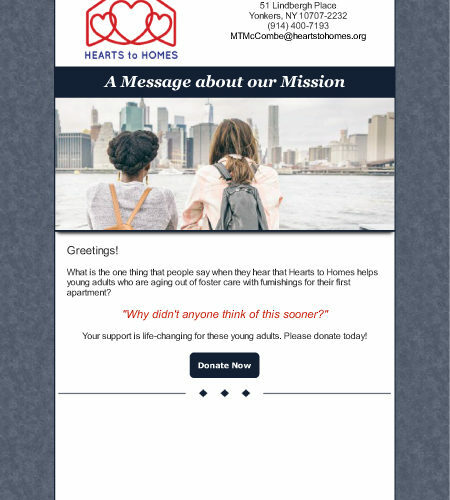 Seven Young Adults Aging Out of Foster Care Helped By Hearts to Homes! 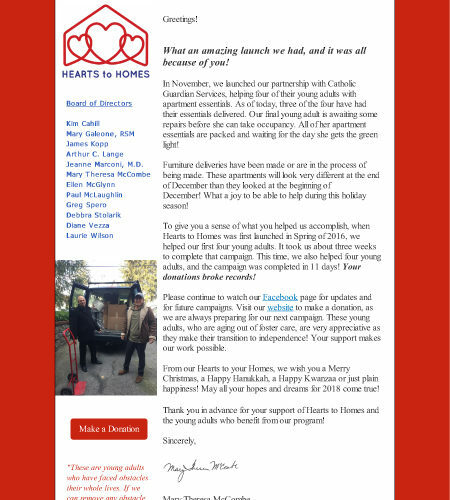 Hearts to Homes Had an Amazing Launch Because of You! 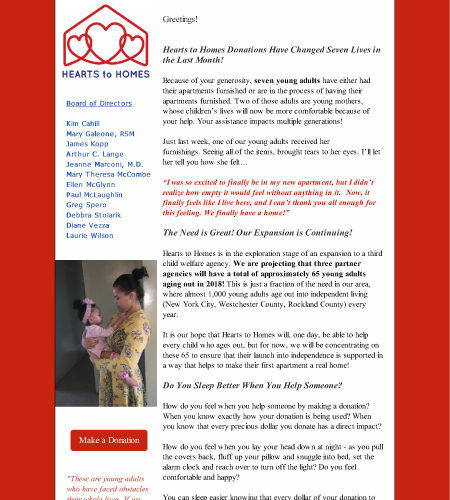 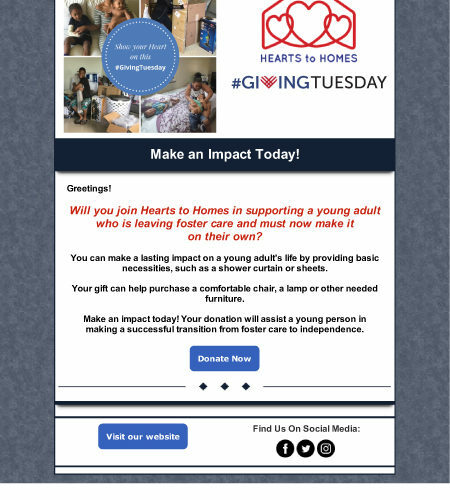 Exciting News from Hearts to Homes!